Lab 22 strives to be different, to test the boundaries of what can be achieved in the field of mixology. Their professional bartenders have come up with cocktails that you won’t find anywhere else. It is the ideal environment for those who want to experience something different and unique while on a night out. This is a bar that is really all about the most important thing: the drinks. The bar is renowned for its award winning cocktails. They are not afraid to experiment with new and inventive flavours. For this reason Lab 22 is worth visiting. You never know what you are going to find. Whatever it will be it is sure to be innovative and new. There are five course taster sessions for groups. This experiences offers a bespoke menu with the promise that your meal will be like no other. If you would prefer to be behind the bar rather than in front then there is an event for you too. A two hour cocktail making masterclass is available to help your improve your drink making skills. Being able to learn from the professionals is ideal for amateur bartenders. 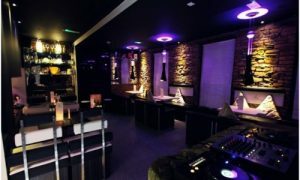 For groups who want to try out multiple drinks then Lab 22’s spirit tastings are one of Cardiff’s best events to book. They offer a large selections of gins, whiskeys and more. The bar is science themed which is a great environment for students, graduates and professors alike. Their drink categories include Large Hadron Colliders, Light Particles, Heavy Elements, Exotic Theory and more. There is such a large variety of science themed cocktails that there is bound to be something for everyone. The staff are friendly helpful and have expertise that you are not likely to find in any other bar in the city of Cardiff.